It’s sometimes easy to forget, what with the typical focus on the details of the bottle in front of you, but wine ties us to our earliest days of civilization. Every time you open a Grand Cru Burgundy, for example, you’re actually benefiting from a thousand years or more of human endeavor in the Cote d’Or, of the meticulous plotting of the land by generations of monks and then, later on, hundreds of years after that fact, of the labors of vineyard managers, winemakers, scientists, and others. An article that ran in this morning’s New York Times, about a recent archaeological discovery in the Rhone river, reminded me yet again how ancient the wine world really is. And while the article does not actually deal with wine at all--the discovery was of a bust of Caesar, made in the murky depths--the fact that it was found in the Rhone River is a reminder of just how ancient a land that home of Syrah, Grenache, and other great grape varieties really is. This seems especially relevant around the holiday season, as the focus turns both to richer, heartier wines as well as to ones that don’t put too deep a dent in the budget. The wines of the Rhone fit this bill as well as any in the world right now; in fact, Wine Spectator recently ran a list of their top Rhone values for under $25, and it’s full of great wines that far outperform their low price tags, proving yet again that this slice of land in Southeastern France has been providing spectacular drinking pleasure for a very long time indeed, and that this is as good a time as any to explore all that it has to offer. I ate too much yesterday, as I do every Thanksgiving. At this stage of my life, of course, I should know better, but logic doesn’t usually factor into my holiday eating routine. Rather, I tend to be guided by a more primal impulse that goes something like this: The food looks good so I think I’ll eat it all. It’ll be like this through brunch on New Years Day, after which I’ll revert--like most people--to a healthier, more logical dining philosophy. In the meantime, there is one important step that you can take to minimize the discomfort that comes with all this overindulging: Treat yourself to a digestif after the day’s gluttony is over and done with. The New York Times just ran a story on the benefits of Italian amaro. And while I enjoy them, nothing, for me, works quite as well as a nice glass of grappa, Cognac, or Armagnac. For soothing overworked stomachs and laying the groundwork for a better next morning than you otherwise would have had, they just can’t be beat. Unfortunately, I failed to follow my own advice last night, and feel a bit sluggish this morning. If only I’d come home from dinner and poured a glass of Cognac, my Friday might feel less like a Monday than it does right now. To compensate, I wandered around the Internet and found this excellent video on Cognac that ran on GrapeRadio.com last year. It’s long (about 17 minutes), but provides a very good overview of Cognac and its uses in cooking, cocktails, and on its own. 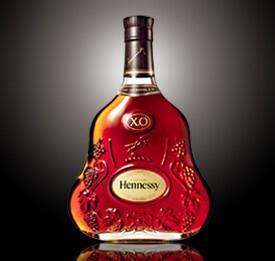 It’s too early in the day to indulge in a glass, but tonight, I think, I’ll treat myself. After last night, I'm pretty sure I deserve it. The Art of Blending from GrapeVisions on Vimeo. Last week, as part of my trip to California, I made an appearance on "View from the Bay," the afternoon talk show on ABC 7 in San Francisco. 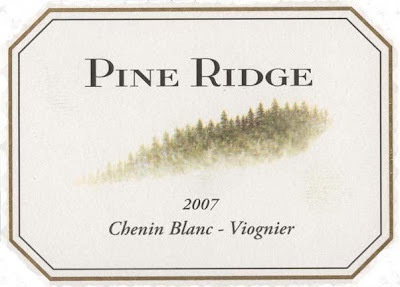 The segment, which focuses on unusual wines for the holidays, is below, and includes two wines that are available right here at Wine Chateau, the Pine Ridge Chenin Blanc - Viognier and the ForeFront Cabernet Sauvignon. I’ll be posting my Thanksgiving wine advice tomorrow, but today I wanted to focus on some end-of-the-year housekeeping. Because this week traditionally signals the beginning of the end of the year (that extended stretch between Thanksgiving and New Years often seems like one really long week, one really long meal), thoughts naturally turn to the past, and what we’ve accomplished (or, in this case, had to drink) in 2009. Back in January, The Wall Street Journal’s Dorothy Gaiter and John Brecher wrote a column called “For 2009, a To-Do List for Wine.” In it, they offer 20 achievable goals that will make your wine life better or, at the very least, more interesting. Some of my favorite items include trying a wine from a different country, opening a sparkler at home for no reason other than that you want it, attending a restaurant wine dinner, and trying wines that you haven’t loved all that much in the past. This is the time of year to take stock of what you’ve done to improve your wine life in the eleven months that have passed since ’08 rolled over into ’09. (The Journal recently posted letters and emails from readers highlighting what they have done since the original column was published--it’s good inspiration.) Which is all to say this: Despite the advice you’ll inevitably get during the holidays (including here, starting tomorrow), it’s always a good idea to make some changes yourself. Break free from wine orthodoxy this holiday season, and get a head-start on setting yourself up for an interesting, tasty 2010. Experiment with wines and pairings. Explore the wine world. 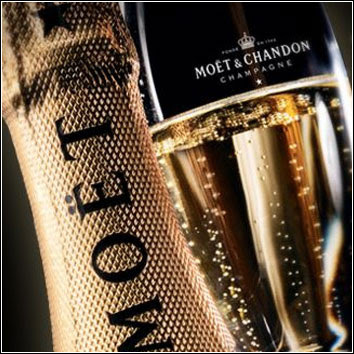 And, most of all, have fun every time you pop the cork of a bottle. After all, that’s (hopefully) why you’re opening it up in the first place. As I wrote here the other day, I’m in San Francisco for the Harlan 25th anniversary dinner at the restaurant Poggio in Sausalito tonight. But, of course, that doesn’t mean that I haven’t had the chance to experience some of what else the Bay Area has to offer beforehand. After getting settled in my beautiful suite at the historic (and just renovated) Hotel Shattuck Plaza in Berkeley, I headed downstairs for drinks and snacks at Five, a fantastic new restaurant helmed by Executive Chef Scott Howard. If there’s a better way to relax in a new city than with a refreshing basil gimlet, orzo macaroni and cheese with tomato jam and crab, and chicken and waffles, then I haven’t found it yet. This was as comforting and satisfying after a cross-country flight as anything I’ve ever had. Afterward, I met two friends for dinner at NOPA and, as always, was just blown away by the Pinot Noirs of Dutton Goldfield. 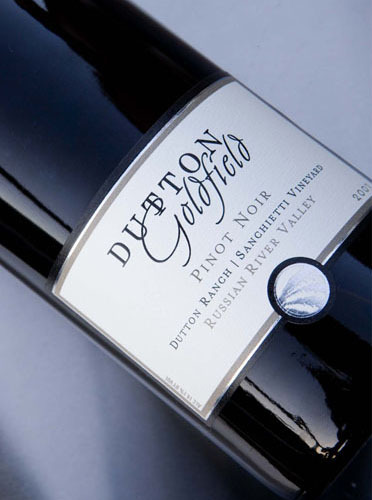 In particular, the 2006 Devil’s Gulch bottling, with its deep cherry notes and gentle hint of smokiness on the finish worked perfectly with grass-fed-beef burgers topped with bacon and Gruyere cheese. The wine was light on its feet despite its concentration, and, after a brief stint in the decanter, just sang in the glass. Friends, excellent wine, and fantastic food—what a great way to start the trip. I’m heading to California Wednesday morning on a very quick trip to San Francisco and Sausalito. Two nights and back, just like that. But what a trip. 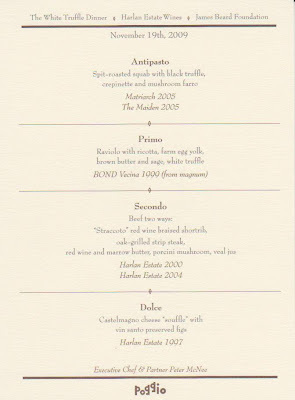 I’ll be attending the 25th anniversary dinner for Harlan Estate, one of the greatest wines produced in the world and what Jancis Robinson has called “one of the ten best wines of the 20th century.” The dinner will be held at Poggio this Thursday night, and will feature not just Harlan’s wines but also a magnificent white truffle menu. I will be reporting on the trip in an upcoming issue of John Mariani’s Virtual Gourmet, and will be blogging about it right here on UncorkLife.com from California, so keep an eye out for details. 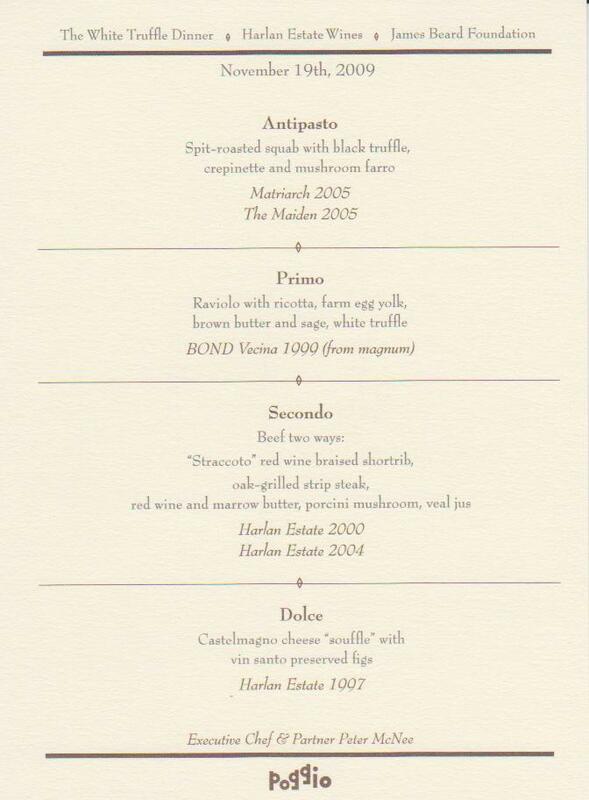 In the meantime, here is the menu with wine pairings. It should be an amazing experience. The big news this Monday is that Wine Spectator has come out with its annual list of the Top 100 wines of the year. Making the list can be a big financial boon for the producers, and, as it’s nearly holiday season, it also tends to play a reasonably significant role in the gift-buying habits of many consumers. The link to the Top 100 list is here, and if you’re interested in seeing how the wines get chosen, take a look at the video linked up right here. It's from 2006, but the process is the same today. 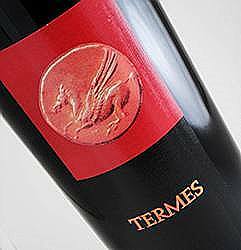 But the wine that really jumped out at me first on this year’s list is Number 2, the Bodega Numanthia-Termes Toro Termes 2005, an utterly delicious wine that always seems to be one of the best values out there, regardless of vintage. In fact, I posted a tasting video of the 2006 here on UncorkLife.com this past April and was extremely impressed with it. 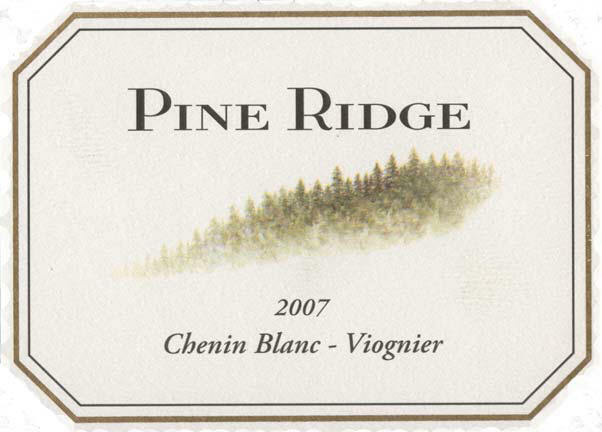 I’ll be tasting the 2007 soon, too, and will post my impressions of it here. But it’s a safe bet that it’ll be a winner and a heck of a bargain, just as it always seems to be. I received a call earlier this week from a friend of mine who I’ve written about here before—Scot Ziskind, the highly regarded custom storage, humidification, and cooling expert, owner of ZipCo Environmental Services, Inc. and My Cellar wine storage firm. A long-time client of his had recently passed away, and, as per his instructions, Scot was to open his locker, catalog the wines in it, and sell them off, with the proceeds to go to his wife. It was a bittersweet afternoon: This, after all, was all that was left of another man’s beloved wine collection, of another man’s passion. There was something touching and surprisingly intimate about the process: With the sale of the bottles he had left behind, his wife would receive a bit of a financial windfall; and on our end, we were handling (very carefully, of course) bottle after bottle that he had chosen himself, each, ostensibly, for a different reason that only he, ultimately, ever really knew. And what bottles they were. With each case we sliced open, we discovered new, often unexpected treasures. Certain ones, of course, weren’t all that surprising: The bottles of Lynch Bages, the assortment of Ducru-Beaucaillou, the smattering of Cheval Blanc and marquis California producers and Gaja Barbaresco. We even found a single 1982 Lafite, which will benefit his wife immeasurably. But other wines were less expected, and spoke of a man who loved experiencing all that the wine world had to offer just as much as he loved collecting its most prominent examples (there’s often a big difference): JL Chave Hermitage Blanc, Chateau de Beaucastel Chateauneuf-du-Pape Blanc, a couple of older Echezeaux from Mongeard-Mugneret—wines whose value, despite their higher cost, are far more about idiosyncrasy and personal taste than anything else. In the end, it took just over two hours to complete the project. The sale of the bottles shouldn’t be all that time consuming, either. But despite the brevity of the work itself, there was something undoubtedly intimate about it. I didn’t know the man who once sought out, purchased, and stored these bottles. In fact, I’d never even met him. But in helping to close the circle on his wine life—in helping to do the final accounting of the wines he left behind and, in some small way, contributing to the reward that the wife who survives him will ultimately reap—I feel as if I’m connected to him now in some small way. Wine, perhaps more than anything else, has the unusual ability to bring people together that way. Even if they never knew each other. There are few wines that I enjoy and admire more than Angelo Gaja’s. They are, year after year, among the most well-crafted, evocative, downright delicious produced in the world of wine. This is great news for fans of the wines that Gaja produces in Piedmont (under his eponymous label), Montalcino (Pieve Santa Restituta) and Bolgheri (Ca’ Marcanda). And though it will be a while until the 09’s are available, legends like the 2005 Costa Russi and the excellent 2002 Ca’ Marcanda Magari will certainly make the wait a bit easier. 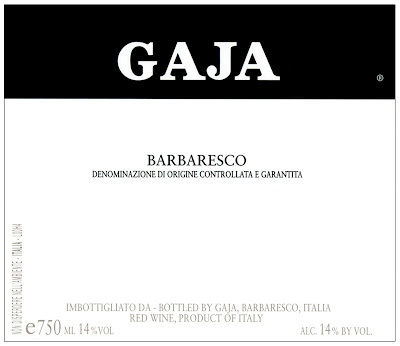 Two years ago, I had the chance to visit Mr. Gaja in Barbaresco, taste his wines and then enjoy a spectacular dinner with him afterward. I wrote about the experience and the wines for John Mariani’s Virtual Gourmet; the article is linked up here. And for more information, click here for an excellent interview with Gaia Gaja, Angelo’s daughter, that ran on Grape Radio in July of 2007. I spent this past Sunday cataloging and reorganizing my wine cellar. And while my collection definitely falls into the modest end of the spectrum, it still took all day. But it was 100% worth the effort. I found bottles I’d forgotten about but that still need time to evolve in the bottle. (I had probably tried to forget about them in the first place so I wouldn’t be tempted to drink them too early!) I discovered others that definitely need to be opened soon. And still others that I don’t remember ever having purchased in the first place. All told, then, it was a day well spent. And it reminded me why I purchased a good cellar in the first place: To have a space for the wines I love (or one day hope to love, once time works its magic on the juice), and to know that they’re being kept in the best possible environment. Would life be easier (and cheaper) if we could all just keep our reds in a nice rack in the corner and our whites in the fridge? Absolutely. But it would also be a lot less tasty when the time came to actually open those bottles. Four years ago, my wife and I had my parents over for dinner. My father brought along a bottle of Moet et Chandon 1979 that he’d found in the back of his cellar. Everything we read about it said that it should have died years earlier. But when we opened it, the entire living room filled with the scent of tropical fruit, rich nuts, and truffles. It was nothing short of majestic. Proper cellaring had saved it, and allowed it to evolve unexpectedly well. The bottom line is this: Treat your wine with care, and it will reward you for years to come. The farmers markets here in Philadelphia have lately been full of the kind of hearty, leafy greens that make such perfect seasonal salads in the autumn. Baskets of apples and pears overflow at every turn. The smell of fireplaces sparking to life colors the morning air. And contrary to what you might think, this is the perfect time of year for a crisp white wine like Chablis. Not all white wines are the same. Some, like New Zealand Sauvignon Blanc, are pitch perfect for the spring and summer, their tropical, citric, and fresh-cut-grass notes elegantly mirroring the scents of the season. But now, as something smokier and more bracing comes into the air, is the time for Chablis. Wine Spectator recently posted a very good video on pairing salad with Chablis, and this seems like the right time of year to consider what they have to say. Click here to watch. And on the news front, Wine Enthusiast Magazine has named Trinchero the American Winery of the Year. According to a press release, “Trinchero Family Estates is being recognized for leading sustainable winegrowing and producing a diverse portfolio of more than 22 award-winning wines that represent quality and value.” The full text is available here. This is good news for the ever-growing number of German Riesling fans, as it marks yet another in an already exceptional string of good years. 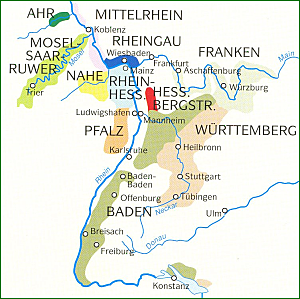 (Take a look at the vintage chart on Robert Parker’s web site: Germany’s major wine regions, according to his assessment, have not had less-than-stellar vintages since 2000.) This just seems to reinforce the fact that German Riesling provides one of the most reliable, affordable, and food-friendly wine experiences available today. Moving further West in Europe and on a more academic note, British newspaper The Telegraph is reporting that, contrary to popular belief, it was likely the Greeks who brought winemaking to France, and not the Romans or Etruscans. And while this may not have any real impact on your experience of whatever wine you pour into your glass tonight with dinner, it is yet another reminder of our ancient ties to the beverage. Really, every time you take a sip, you’re re-enacting a ritual that has gone on for thousands of years. No matter how you look at it, that’s an amazing thing. Vinography.com Wine and food adventures in San Francisco and around the world. 1winedude.com Serious Wine Talk for the Not-so-Serious Drinker. Another Wine Blog Joe and Amy's take on all things wine. The Tasting Note A quirky wine blog. Cellarette Eileen chronicles her attempt to become a master of wine. Whitley on Wine Robert Whitley's Wine Blog. The Passionate Foodie - Richard discusses good food, wine, saké & spirits. Mano a Vino Food, wine, and travel. Scordo.com Vince Scordo on how to live the Italian way, which of course includes wine. On the Wine Trail in Italy Alfonso follows the trail of the vine as it winds through Italy and beyond. Wine Life Today Adventures and opinions on wine, technology, and marketing. Michael Stajer Focused on issues in wine and technology and where they intersect. Fork & Bottle Jack & Joanne's guide to eating, drinking, and living. Sowine A French blog on the art of looking sideways. Wine Conversation A wine blog written by a worker in the U.K. wine trade. Wilma's Wine World An insider's look at the "wine country" life. Cork Jester Jennifer Rosen's award winning blog. Wine90 An Italian wine blog. My Wine Education Michelle blogs about Cincinnati wine and dining. Wine Foot Stomping the snob out of wine. Winexpression Jathan comments on and reviews wine. Saignée The crushed grape, crying out for revenge. Arte Vinos Puros - Italian wine blog dedicated to pleasure in art, wine, and cigars. 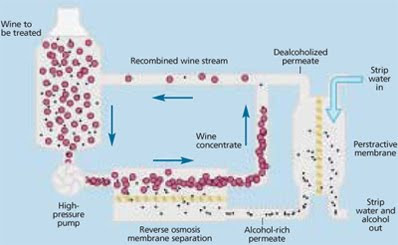 Fermentation - Tom Wark's daily blog on wine public relations. Wine Lovers Page News and forums for wine lovers. Jim's Loire - Concentrating mainly but not exclusively on the Loire's vineyards, its vignerons and their wines along with places to eat and stay. Wines & Vines - The voice of the wine industry. oenoLogic - Wine is thought. Wine Terroirs - Wine tasting, vineyards, in France. Alice Feiring - Blog of the James Beard award winning wine writer Alice Feiring. DrinkHacker.com The essential blog for the discriminating drinker. The Good Wine Guru Wine reviews, tips, and advice from an excellent wine reviewer. 2 Days per Bottle David's wine review blog. Wannabe Wino Tasting adventures from the DC Metro area and beyond. Tastes of Life Victoria reviews fine wines. Wine Peeps An independent wine blog specializing in Washington State wines. What to Drink Tonight Wine review site details a quest for tasteful wines on a low budget. Wine Storage Cave Facility The first...fine and rare wine storage facility located in a cave on the North American continent, in New York. Kroatische Weine Global directory of wine resources. Stardots.com Food, cooking and dining resources, including wine. Encyberpedia Food and beverage company listing, including wine. Internet Wine Guide Instant access to all major wine sites of the world. Legend Cellars Orange County, California's premier wine storage facility. Saucy Joes Food, Wine, Fun and Cooking. Southshore.com Bull Shoals Lake, Arkansas, includes food and drink resources. 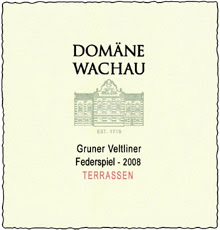 German Wine Page Information and resources for German wine. British Club Worldwide Links to wine retailers. Wine-Wall.com Wine Racks & Wine Accessories. The Personal Wine Curator User friendly, versatile and comprehensive wine cellar software. Wine cataloging. Wine and food pairing. For PC and Mac. Planet Grape A wine consulting firm providing education, content, and sommelier services. Wild Walla Walla Wine Woman Walla Walla Wines and Gourmet Gifts. Fourcade & Hecht Information for the beginning wine drinker, virtual wine tasting, and more. Vinternet Blog about the wine business, in French. Adegga.com and AVIN (ISBN of Wine). Nuyaka Creek Winery A vineyard and winery in Oklahoma. Italiansrus.com Your guide to Italy and Italian culture on the Web, including wine. WineBase The Ultimate Cellar Management and Wine Reference Software. Casa de Sezim A historic estate in Portugal that makes its own wine. Wine Beers and Spirits A list of online resources devoted to wines, beers and spirits. 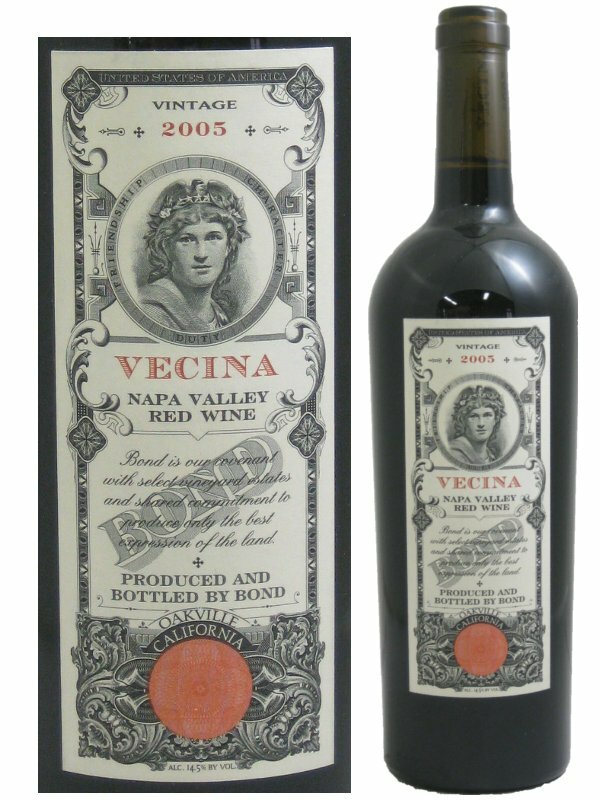 Classic Wines Find wines for sale from stores all over the web, manage tasting notes, and more. WineZap Buy wine by comparing wine prices from U.S. retailers at WineZap.com. FamilyWok.com Family cooking the Chinese way. BobCampell.co.nz Bob is instructor of a wine diploma course, has wine reviews, and more. Okanogan Estates Vineyards A hidden treasure in the Okanogan's premier grape region of North Central Washington State. Vinophoria Offers exclusive wine, food and cultural tours for travelers in Spain. Best Wine Websites A listing of the top wine related websites. ZOQY Zeitgeist, opinions, questions, yatter + wine – corbieres – languedoc and life in France. Italy Wine Tours Italy and Wine offers wine tasting tours for individuals and small groups and can organize custom-designed private tours in Italy. You can find out several itineraries along Tuscany, Piedmont and Veneto. Honeycreek Vineyard and Orchards A winery nested in the upper Ozarks region of Missouri, Warrensburg. MyCaliforniaWinery.com Info on California wineries and their wine. Southwest France Travel, cuisine, and wine info on the South of France. The Wine Attic Resources for California tasting and touring. 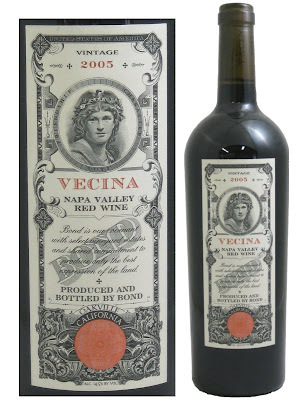 Vino Vixenz Wine tutorials on wine tasting, weekly wine reviews, and more. 100 Best Wines Information on wine racks, cellars, gift baskets and more. WineRecipes.com A great source of recipes to use while cooking with wine. Vinivino All you need to know about wines, powerful wine tools and wine social network. 2BA Snob How to be a beverage snob with coffee, tea, wine, and beer. Captain Plaid Progressivism meets an ornery Scot. Santa Carolina Santa Carolina wine information. The Naked Grape Great selection of wine resources including an award-winning wine course. BizWeb Alcohol Page Great collection of alcohol-related resources. Culinary Software Services Provides restaurant and foodservice software. The Hungover Gourmet The Journal of Food, Drink, Travel & Fun! The Savvy Host Great resources for entertaining with food and wine. Shaboom's Kitchen Recipes, cooking suggestions, wine and more. Macrothesaurus Wines and wine industry links. 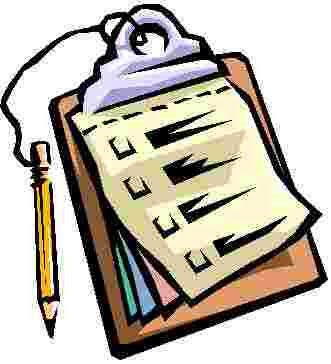 Food Management Search - Food Industry Recruiting. GourmetSpot - Gourmet cooking and wine reference site. Long Island Vineyard Tours - Vineyard tours of the Long Island wine country. PleasureCooker.com - An excellent home cooking and wine blog. A taste of the Southwest - Great Southwest food resources including beer and wine. Wine Beers & Spirits of the Net - Online resources dedicated to these drinks. Air au Vin Wine Breather - Breathes your wine by gently bubbling air through it. b2bWine.com - Business to business wine directory. Snooth.com - A new way to discover and understand wine. eRobertParker.com - The independent consumer's guide to fine wine. Decanter.com - An upmarket magazine on wine and spirits. French Scout - Wine tutorials and reviews. Wine Enthusiast - Great wine-related products. Grape Radio - Internet radio program, James Beard award-winning. Wine Intro - Lisa Shea's Basic Wine Tips, FAQs, and info. Wine & Alcohol Stores - Carnegie Mellon list of wine and alcohol stores. Vino Vessel - US Manufacturer of concrete wine and storage vessels. Tabloid Column Sensational daily news headlines. E-Cookbooks.net A great resource for recipes to go with your wine. Radok News Daily news by Radok. Chocolate Links Great resources for buying chocolate. PeterMe.com Thoughts, links, and essays from Peter Merholz. Culinary.net Great culinary suggestions to go with your wine. The Info Service - The web's best resource! Rocky Dickerson - Rocky's personal page. The Sun's Financial Diary - Great ways to spend and save, including wine. Vernon Frazee - News, information, and reference links. Jordanas - Mother of pearl dining wear, picture frames, and more. WaitersWorld - Resources for professional waiters. Grape Seek - The World's fastest growing wine industry portal.